We’ve helped thousands of Vancouver residents get back to feeling normal by alleviating many common chronic pain symptoms. Get in for deep tissue massage therapy by one of our gifted massage therapists. Deep tissue massage gets your blood flowing and can be very relaxing as much as it is therapeutic. Early action and management of auto injuries is vital in preventing what can easily become a very chronic and debilitating condition. Why NW Injury & Rehab? We provide affordable, effective, non-surgical pain relief for the whole family. We are committed to helping our patients improve their lives and get back to feeling good by restoring them to normal body mobility that lasts. Our Chiropractors and Massage Therapists are committed to providing you the best possible experience from a chiropractic clinic. We make it easy for you to get quality pain relief as well as preventative maintenance. This is why many of our patients have been seeing us for years. We care about you and want to see you be free of pain. Chiropractic Care, Massage Therapy and Auto Injury Rehab is our passion. Our holistic approach helps to relieve the body from stress and trauma caused from injury as well as normal daily activities. Improve your posture, balance and mobility with our customized care. 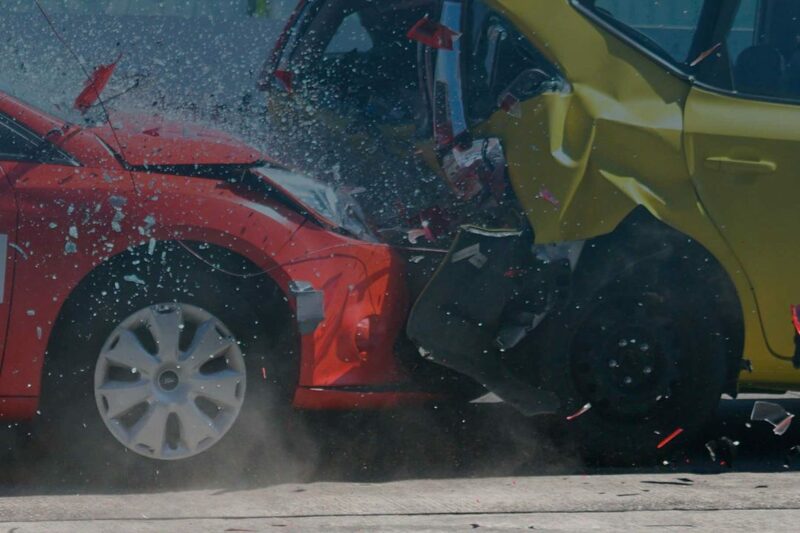 Hopefully, you’ll never be injured from an auto accident. However, if you are, please contact us first. 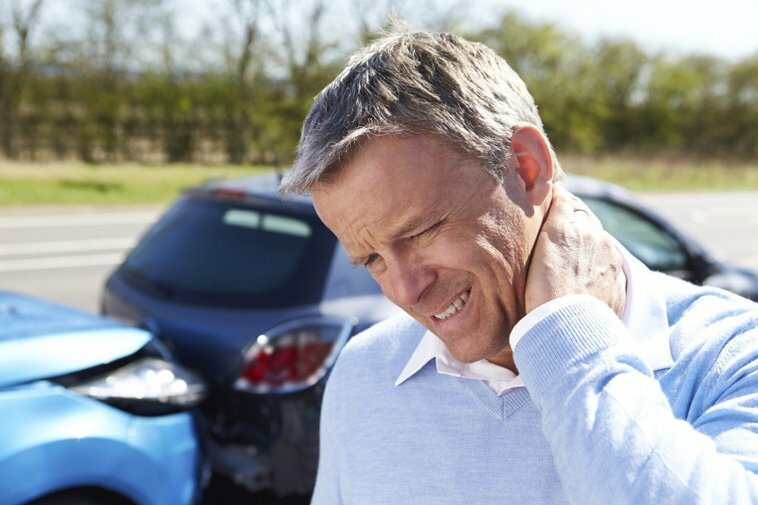 An auto injury can be a traumatic event and a frustrating situation to deal with. We can help you on your road to recovery. We are specialized in auto injury trauma, we work closely with reputable attorneys, and we can help you every step of the way with your auto injury case. We ensure you get the treatment you deserve and get back to feeling better and living better. 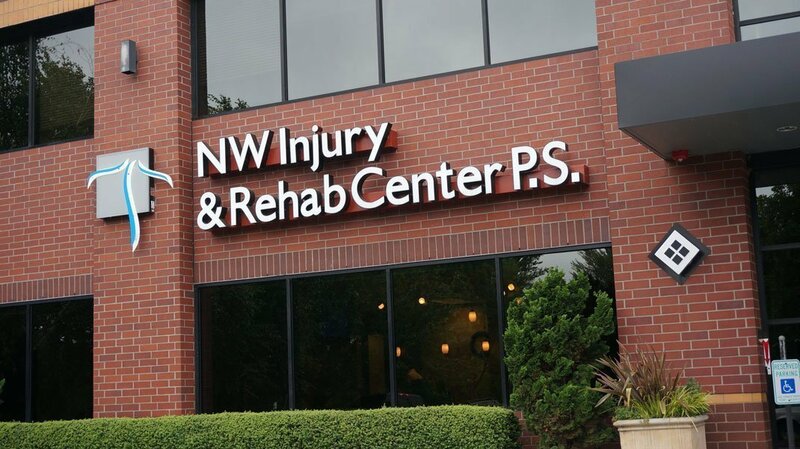 NW Injury & Rehab Center, P.S. The front desk ladies are always so helpful and kind. Dr B has been working wonders on my lower back pain. Especially through the SI joint.Jonathan is amazing at ART and massage. And Erica is a dream with her cupping massage. You could say it takes a team to keep me moving and I love how they’re all so approachable and friendly. I’m very particular about the services I receive. This place...awesome all around. Kind staff, genuinely kind. They are flexible, appointments are punctual, and they are very thorough. No gimmicks, no sales tactics; they are there to provide a service and they do an outstanding job of it. I’ve had adjustments, massage, and ART. Each has improved my quality of life in mobility, flexibility, and eliminated the need for any pain killers or muscle relaxers. Best place I’ve ever been to!! The people here are so genuine and truly care for their patients. Honest and truthful workers and doctors that put in time and effort into the recovery of their patients. The front desk is so friendly and just over all an amazing environment in this clinic. Started going here December 2018 when Physical therapy didn't seem to be working. Started with a free consultation with Dr. Eric and have been returning for adjustments and active release techniques by Jonathan. They both have have done a great job with my lower back and lower neck pain. This place is very relaxing and the front desk associates are very good at greeting you and to making you feel like a very important customer. Oh, by the way did I mention that I am almost 55 yoa and I was very skeptical of seeing a Chiropractor my whole life but Dr. Eric has made me a believer in Chiropractic medicine. Great job to everyone! Best clinic and only clinic I’ll get my treatment from!! They have sooo many varieties of treatment that work best for you and help you improve! I’m thankful for such a awesome lovely stay! I was absolutely pleased by the results that were achieved and the information that I received during my first visit with NW. I'm a competitive CrossFit athlete and being able to continue to train even if I am injured is very important to me. Jonathan explained how I could do that and how I could heal myself at the same time. The knowledge, expertise and professionalism and value of services that I experienced are second-to-none to none. I found Dr. Strehlow about 15 years ago after a work related accident that had me in severe pain in my lower back. With a vigorous course of treatments and massage therapy, Dr. Strehlow eliminated my pain. Since then I have consistently returned back to his care after trying other chiropractors, finding his treatments to be the most effective at addressing my spine related problems. He is caring and professional and the staff at NW Injury is terrific. Jonathan in particular recently helped in my recovery from a broken ankle using Active Release Therapy. Thanks to everyone at NW Injury & Rehab for your consistent reliable care in helping to eliminate my pain. I have gone to them for years and they are always so professional, friendly, and accommodating. In August I was rear-ended. They assessed my situation and gave me a treatment plan; I am so much better less than 4 months after the accident. Wonderful!!!! This is one of the best chiropractic clinics! It is always a pleasure to come to the office knowing I will get a 5-star service. The staff is super friendly and carrying. Dr. Eric and Dr. Brandon are very knowledgeable in both medical and legal fields, which is essential when working with insurance companies. Thank you, NW Injury & Rehab Center, for taking such a good care of me! God Bless! I came to the NW Injury & Rehab Center to address problems from a hip that I broke 3 years ago. While I had physical therapy elsewhere since the accident, the situation was getting worse. I could not touch the floor and I stooped over when I walked. I had pain in both hamstrings. After receiving a very inexpensive interview, I became hopeful that a combination of back adjustments, ART and therapeutic massage would help repair the damaged tissue from the surgery.The Rehab Center approach was much different than the previous therapy. I am now one month into the therapy and am much improved: I can walk normally, touch the floor and my hamstrings are much calmer. While I have a ways to go, I am improving. I look forward to my visits as I am getter better instead of worse. The office is clean and orderly and all of the staff are friendly and professional. I highly recommend the NW Injury and Rehab Center. These people work wonders. Yes, it might take a while but you can really get a lot off your chest during that time. Everyone is super friendly and understanding. Awesome staff and very friendly environment! They make you feel right at home. Would definitely recommend this place to anyone! Excellent Chiropractic care after car accident. Dr Brandon gave great a explanation of the treatment plan I needed. The staff is warm and welcoming from the moment you enter the office.. Dr Brandon and Dr Eric are both gentle practitioners that provide relief while healing from my accident in my adjustments needed. 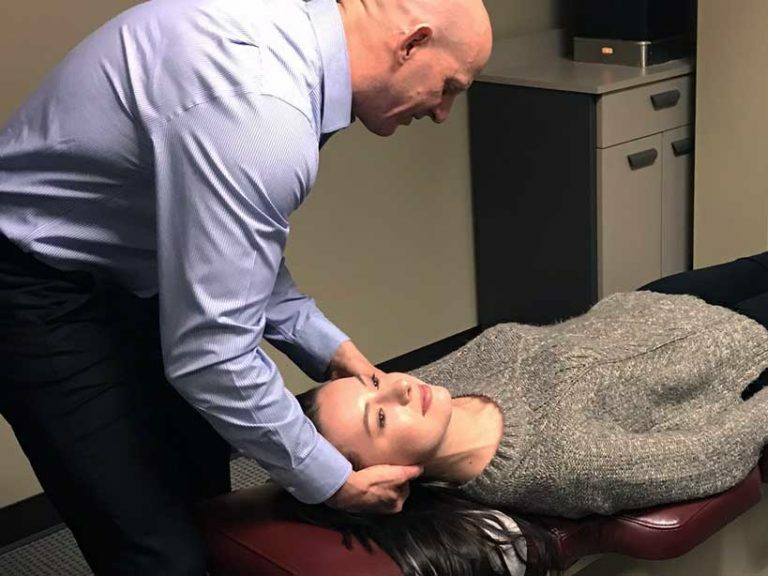 Tyler and Lara are both experienced massage therapists attending to the areas of pain with a full understanding of the healing process and the best method for relief. Sarah is awesome as well providing rehab training. A comprehensive plan for the best care is provided by this office. I would highly recommend them to friends and family. The doctors and staff make you feel welcome and comfortable on each visit. After my car accident, the headaches each day were unbearable. Thanks to NW Injury & Rehab Center my headaches are not as frequent, the pain in my neck, back and foot has improved to make daily functioning bearable. I’m not sure thank you is enough to express my gratitude. Amazing service. Amazing staff. Amazing Doctor. Thank you! I had my first massage with Lara and had a great experience. She was very thorough and focused on my problem areas. I look forward to continue seeing her! I have been coming here for massage therapy!l. Nataliya, Lara, Crystal, and Tyler were all great! I always recommend this office to anyone with injury/rehab needs! The staff are so friendly and I LOVE that they send text messages for last minute openings! Great experiences all around so far and I don’t think that will ever change! Thank you. This is a very clean and well maintained environment. The staff is very fun and friendly. I felt like I can be myself. The massages were amazing. I’m usually uncomfortable when it comes to massages and such but I didn’t feel that at this place! I’d definitely recommend this place! Guys, thank you very much for the help you are giving! It really works wonders! My back stopped ached with the magic hands of these doctors. Thank you, Dr. Brendan! Thanks to the team of massage therapists: every massage session is unique in its own way! Massage is very high quality. Offer to massage not only the sick area, but cover the entire body, from the tips of your toes to the tips of your fingers! This is an extraordinary delight! Also thanks to Sarah, who follows the correct implementation of the complex of exercises, helps to regulate the load! All the staff are very attentive and friendly, always interested in health and changes in health. The atmosphere in the center is very relaxing and favorable. You will always be offered either a cup of fragrant coffee or a refined glass of clean water. While waiting for the procedures, you can relax in a massage chair and listen to pleasant music.I advise everyone! This is the first place where you should turn for help after an accident or just for a quality and qualified massage! Amazing place! The staff are so sweet and friendly, and the office is very clean and comfortable! Great atmosphere and such a welcoming environment. Overall a great place to try if you are looking to relieve pain after a crash or injury. Very friendly staff and doctors, and such a positive environment! They went above and beyond to help me recover after my car accident. My back pain decreased each time I came for a massage and adjustment! Would definitely recommend this Chiropractic office; they are so great at what they do. This place is amazing. The staff is so professional and sweet. Especially Katie kalachik. She does the best massages! I highly recommend this place to anyone!! Dr. Eric, Dr. Brandon, and the staff are amazing. They are very friendly and really care about helping their patients improve their health and well-being. I had serious back and shoulder pain and stiffness that has been largely alleviated with their help. 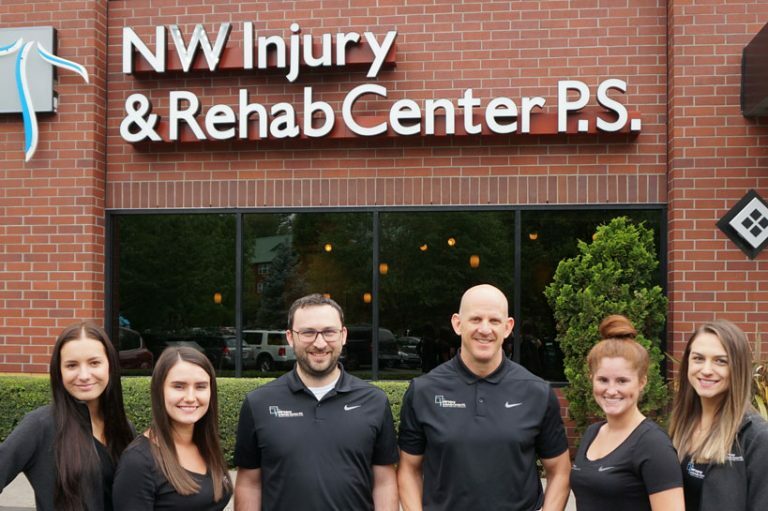 I highly recommend the NW Injury team! I love it here! The staff is really polite and helpful. I got into car accident last Feb.2018, I found them online. I have been going there since my accident for all treatment i need. I never have complain after my treatment. I HIGHLY recommend them to anyone looking for Massage or Chiropractic. They have all been wonderfull to me. The Doctors have very differant personalities but they are all good at what they do. They work very well together as a team. If you prefer to work with a certain Dr. just say so. Their threapists are all wonderfull. All of them have differant tequnics yet they are all good. I have had them all. Sometimes I request a certain one. Other times I find it helpful to have different ones. Recently I feel they saved my life. Helping me to get in to see a Dr. who could help me. Oh I can not leave out the receptionists. they are just as wonderful and helpful.Everyone on staff at this facility goes above and beyond. I can not say enough. Thanks. Jonathon at NW Injury & Rehab does a phenomenal job. He listens and takes his time to ensure you are feeling better when you leave. Highly recommended for massage and ART. Been going here for all my past car accidents and completely love it here. Super friendly and kind workers. They’ll always want to do what’s best for you and also what works for you. To anyone who has been in a bad accident or just need a good massage/adjustment, I would 100% reccomend NW injury & rehab center. Wonderful experience! Good and knowledgeable doctors. Wonderful staff! Clean, neat, respectful! The massage therapists and the ART staff are not just working on your injured body, but they also heal your soul. They know how to listen and they actually have answers. I loved this clinic. I recommend it to everyone 🙂 Thank you, NW Injury!!! We Love it here! Everyone is super nice and very professional. Any treatment is explained very well by the Doctors. Their primary objective is to make sure that you are progressing and feeling better and you can see that in every visit. My husband and I come for neck, lower back pain and headaches. We have learned so much from the team here and they have helped us feel so much better! Highly recomended!! 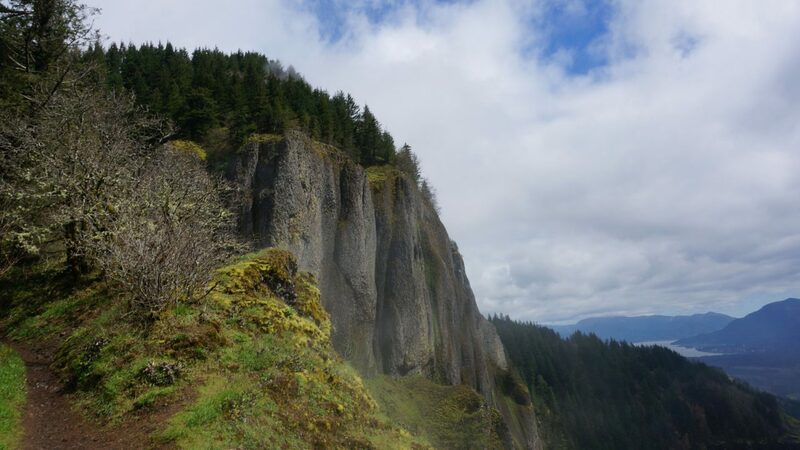 I am so grateful that I found NW INJURY & Rehab in Vancouver, WA. I injured my right shoulder (partial rotator cuff tear) in a fall last September 2016 and have been in horrible pain. I could not sleep and every day was a lesson in endurance. Nothing seemed to help up until I started PT. I needed massage too but it was not offered at the clinic I was going to. I could not find a place that offered massage therapy and other modalities until I found NW Injury. I love going there to get the care that compliments the PT I get elsewhere. So far I have experienced massage & spinal decompression. They have been a real blessing to me. They care about their patients and have an awesome membership plan that makes getting care affordable. Their front desk staff (Vicki) are knowledgeable and friendly. The massage therapists (Olga & Brittany) and other care assistants (Sarah) are great too. I can't say enough about their professionalism and desire to make sure that everyone who leaves their office feels better and knows that if there is a problem it will be remedied.COME ONE...COME ALL....BE HEALTHY AND CARED FOR. ??. You won't be sorry...you will feel better. This team has helped me since my auto accident, I'm so thankful my coworker referred me to them! Such a comfortable, friendly environment with an amazing group of people. I highly suggest coming here. Dr. Eric listened to me and I felt validated and relief after my consultation. He gave me a treatment plan to get better rather than just treating the symptoms. Whenever I have questions or concerns they take their time to explain things to me and I don't feel rushed or put in an assembly line. The people here makes this place the best. Every single person here is happy, friendly, and genuine which tells me they are treated well and it reflects in their leadership. I always feel comfortable coming and going. Thanks you everyone at NW injury and rehab! Love, Love, Love NW Injury and Rehab! They have been so helpful and supportive of my treatment and I highly recommend them. I drive from Beaverton, Oregon just to see them - that's how worth it they are! Great staff, great doctors and great facility. 5 stars all the way!!! The staff is really polite and helpful. They worked around my work schedule to get me in for a massage. Olga the massage therapist is simply amazing; I felt a difference right away! Cannot wait to go back in for my next massage! This place is incredible! Clean facilities, friendly staff, worship music playing, and people who are HIGHLY talented and gifted at what they do. I have had amazing results with the Chiropractic and Massage therapy...they are second to none here! My body mind and soul feel refreshed with each visit. Thank you! Dr. Eric & Staff are very friendly, caring & professional! I will recommend this office! Love you guys! Highly recommend this practice. They specialize in auto accident injuries and are extremely knowledgeable about the whole process in terms of health and dealing with insurance companies. They have an x-ray machine in-house, as well as massage therapy, chiropractic adjustments/services and physical therapy. Appointments are easy to schedule, staff are very friendly and professional and I felt very comfortable the whole time. I am so grateful for the day I walked/ limped into NW Injury & Rehab. Dr. Eric so professional and calm the first Doctor that actually listened to me. He made me feel hopeful and encouraged. Jonathan the Massage Therapist, kind, helpful and caring. You can't help but feel good when you are greeted with smiles from all the amazing ladies at the Center. A very positive experience. Huge thanks to you all. The 1st place I went after a head on Collison. They took great care of me and copious notes, great for my lawyer and our case. The entire staff is amazing. I was a patient for about 10 months after a car accident. I began treatment immediately and can not imagine being in better hands. As soon as new symptoms began my treatment was adjusted to include those. When needed I was sent to specialists for extra treatment and surgery. Dr Brandon and Dr Eric are amazing. I had a pinched nerve in my neck and they brought in a cervical traction machine. I hated it, but it did its job and I was able to avoid seeing a spine specialist and possible surgery. I can not imagine getting better care elsewhere. Only bad part of getting well and not having to go - is I miss the staff. I felt like one of the family there. Love you guys!!! You are the best!!! I would not be doing what I can now without you!! ???????????? ?